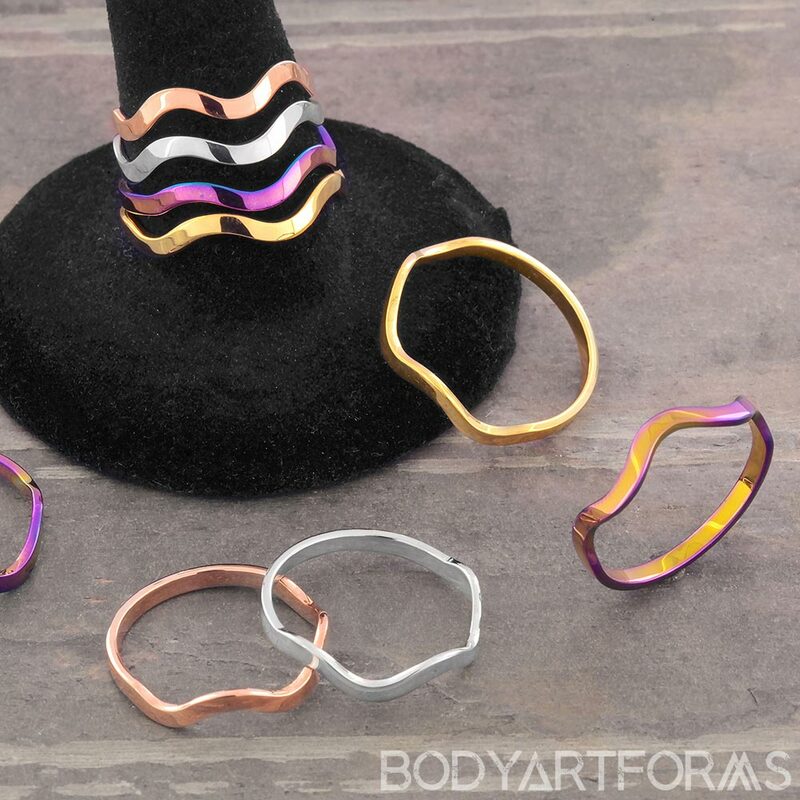 These petite rings have a simple wavy band, and come in your choice of four colors. Perfect on their own or for stacking! More rings are available here.